Eucalyptus: Motivating & Invigorating - the sharp yet sweet fragrance of the Eucalyptus famously supports the respiratory system, clearing the head and motivating & stimulating concentration. Lemon: Energising - the zingy scent of Lemons leaves you feeling light and fresh, energising your body. Lilac: Delicately Harmonising - The delicate flowery scent of the Lilac awakens the senses to the joys of spring. Hyacinth: Lovely & Harmonising - The beautiful Hyacinth releases a lovely heady scent which opens up your senses to the unseen and unexplained. Directions for Use: For a bath dissolve 5tbsp of bath salts into the water at approx 36-38 degrees C.
Loved the scent of the eucalyptus bath salts. Freaky enjoyed lying back relaxing with the salts in my bath. Follow instructions and don't try to skimp on use as this will then be ineffective. I enjoyed the bath salts. The eucalyptus is very pleasant. Skin felt good after the bath. 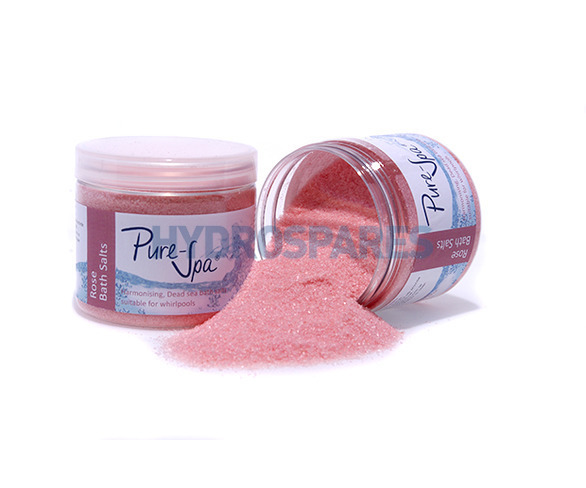 Hello, These bath salts are perfect for a whirlpool bath and will not damage the pipes.